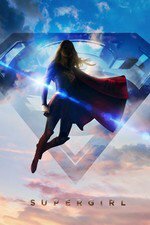 Supergirl traces the origins of a mysterious symbol to an ancient prophecy and the mark of the World Killer, Reign. If there's one thing I love about this show, it's the emotional maturity of the dialog, and this episode is really good proof of that. Kara's honesty to Mon'El about how much it hurts to see him and his wife, but that she recognizes that they're just 3 good people in a crappy situation, was really relatable. Like, I can't even hate on Mon'El in this arc because it's not like he wanted to be here. The silly thing is how all of this goes back to Edge trying to blow up the docks and setting everything in motion. I do wonder though, how much of this "history" do Mon'El and Imra know. They don't seem to give any indications that they know anything about this time in their history, except what Mon'El remembered from being here, but not what happened after he left. I know it's a lot to ask of this kind of show when you involve time-travel, but I'm interested! I sort of expected Shoehorn to lose the fight, but not that badly. I wonder what's going to happen with Ruby! We sort of expected Jimmy and Lena, right? But it's still weird? But also not that weird? I guess we can't have more than one non-hetero ship in this show. We sort of expected Jimmy and Lena, right? I didn't, but Lena/Kara is the only ship of consequence for me on currently airing television. Hm. This was mostly fun. I appreciated Kara's bravado, and I also liked that Reign is a dark reflection of her - out to get the bad guys, but no mercy. I wish I had a clearer idea of what they were doing with Mon-El and Imra though. I'm sure it's going to come down to waking up the rest of their people on that ship, who are all part of the Legion (which I did look up and it's a group of heroes from the future, and Imra is Saturn Girl, in case you don't recall that she's from Saturn), and they'll all help take down Reign and/or saving Ruby. I actually don't have any problems with that plot, as long as it ends with Mon'El leaving for good. Oh, sorry, I meant with regard to future knowledge and interim stuff. I'm sure you're right about the endgame, but in the meantime, it feels like they're just sort of hanging out, making the situation extra awkward. I remember the Legion themselves, although the last time I saw them on a TV show, they were not depicted as a match for Kara. as long as it ends with Mon'El leaving for good. Shoehorn may be rid of him, but you just know he'd end up on the Waverider or somewhere else that keeps him on another show somewhere. Honestly, he might be fine as a bit player someplace else. I don't really mind Mon-El so much as I mind Supergirl - bastion of Girl Power - spending so much time on the woes of a space frat boy. Objectively, I find him less irritating than Nate Heywood, at least since Mon-El took up active heroism instead of bartending. Just last season he was a barista bartender! Eh, I actually am fine with MonEl, but I know nobody agrees with that. I only care about Lena and Kara, I dunno about this "trying to make James happen" thing. I'm also fine with Mon-El as a side character, I just never found their relationship that worthwhile as a source of happiness for her. I am pretty indifferent to who Kara ends up getting paired off with romantically, but the longer she goes without letting Lena in on her secret identity the more irritated I get at her. Especially when they're trying to pile on these heartwarming scenes where they get all schmoopy about how much they've relied on each other this past year and how they're best friends forever (except for... all the better friends who she actually trusts with her big secret). Or when Kara's lecturing other people (i.e., Mon-El) about honesty and openness and not keeping secrets....basically, not telling Lena she's Supergirl is moving out of "poor judgment call" territory and into "glaring character flaw and major act of hypocrisy" for me. I really hope they get that sorted out soon, otherwise I am going to be 100% rooting for Lena when she finds out and turns supervillain over the sudden but inevitable betrayal. I hope they give Erica Durance something more to do than be a stiff hologram every few episodes. I still love this show but the plot holes seem to grow bigger and bigger with every episode. Why was Supergirl fighting Reign with zero back up or support from the DEO? WHY?!? I must say, seeing Kara all beat up, bleeding and unconscious got me right in the feels. I'm fine with James but Poochie really needs to get back to his home planet already. technically she was pretty lively when J'onn was her in the flashback episode set in Midvale.